Granted complete access to the commanders and troops of the 101st, Atkinson saw their war from the preparations in Kuwait through the occupation of Baghdad. As the war unfolded, he witnessed the division's struggles to overcome a murderous attack by one of its own soldiers, a disastrous Apache helicopter raid, and fierce resistance from guerrilla diehards in Najaf, Karbala, and Hilla. At the center of Atkinson's drama stands the compelling figure of Major General David H. Petraeus, described by one comrade as "the most competitive man on the planet." Atkinson observes Petraeus as he teaches, goads, and leads his troops and subordinate commanders in several intense battles. All around Petraeus, we watch the men and women of a storied division grapple with the challenges of waging war in an unspeakably harsh environment. But even as the military wins an overwhelming victory, we also see portents of the battles that would haunt the occupation in the long months ahead. 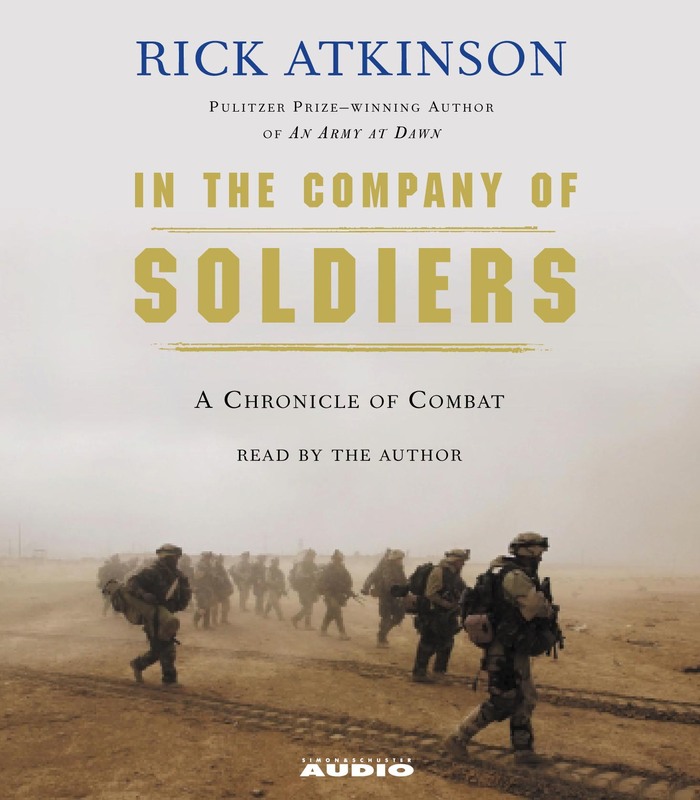 In the Company of Soldiers is a dramatic, utterly fresh view of the modern American soldier in action from the premier military historian of his generation.